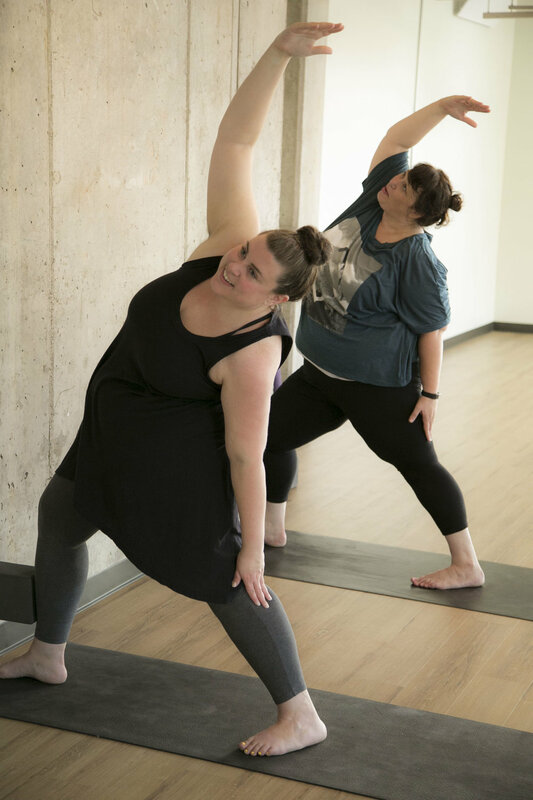 Yoga for Bigger Bodies is designed to bring yoga to those who feel that the traditional class setting is not providing the support and encouragement that is needed to feel successful in yoga. This series is open to all shapes, ability levels and sizes. This is an inclusive and non-judgmental class that emphasizes Health At Every Size®, embodiment and joyful movement. There is no weight requirement and everyone is welcome! Yoga for Bigger Bodies is an 8-week series at The People's Yoga on Monday, Wednesday and Tuesday evenings. Registration is required and we do not allow drop-ins at this time. If you have any questions please email Julie at jwnaigus@gmail.com. Yoga for Bigger Bodies sells out often, we apologize for any inconvenience and are excited to offer more classes in the future. Registration is held through The People's Yoga studio.